"The Franciscan's gown concealed in Sixtus a hard, imperious, implacable character: a man of strong passions and a large, poor and exigent fam­ily. He proceeded to enrich its members and, using all the resources now at his command, to endow them with high office, papal territories and titled spouses. Upon taking office, he shocked public opinion by appointing as Cardinals two of his eleven nephews, Pietro and Girolamo Riario, both in their twenties, who rapidly became notorious for mad and spendthrift be­havior. 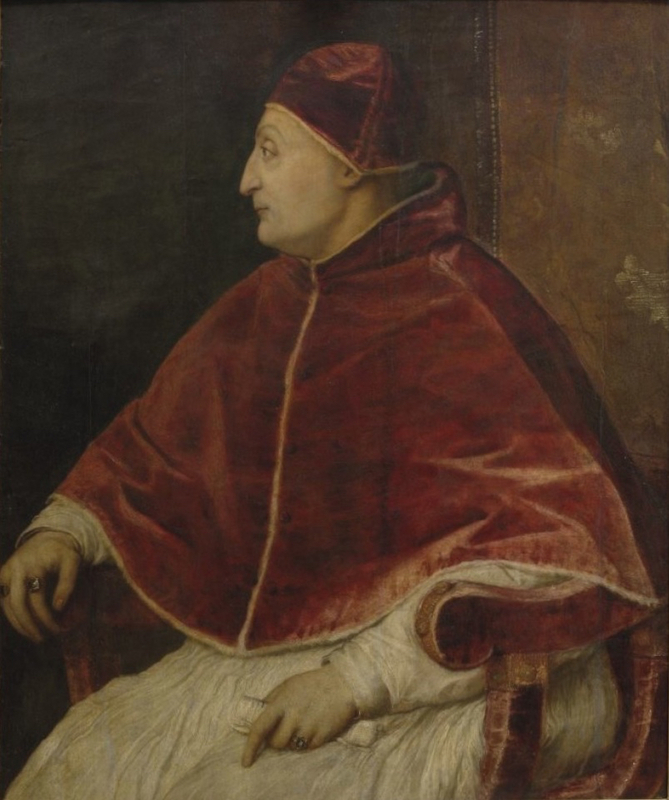 Before he had finished, Sixtus had conferred the red hat on three more nephews and a grandnephew, made another a Bishop, married four nephews and two nieces into the ruling families of Naples, Milan, Urbino, and to Orsinis and Farneses. Non-clerical relatives were placed in high po­sitions of civil power as Prefect of Rome, Governor of Castel Sant' Angelo and to governorships of several of the Papal States with access to their revenues. He raised nepotism to a new level. "He packed the College of Cardinals with his personal appointees, creating no fewer than 34 in his thirteen-year papacy, although the College had been fixed at 24, and leaving at his death only five not beholden to him for their appointment. He made an established practice of political selection for the purpose of favoring this or that prince or sovereign, often choosing lords or barons or younger sons of great families without regard to merit or clerical qualification. He gave the archiepiscopal see of Lisbon to a child of eight and the see of Milan to a boy of eleven, both sons of princes. He so thoroughly secularized the College that his successors followed his exam­ple as if it were the rule. In the twenty years under Innocent VIII and Alex­ander VI, no fewer than fifty sees were given to youths under the canonical age for consecration. "Led by the wild behavior of Pietro Riario, the favorite nephew, whom the new fortunes of his family seem almost to have unbalanced, and aug­mented by the horde of newly rich della Roveres, the habit of unbridled extravagance became a fixed feature of the papal court. Cardinal Riario's excesses reached a peak in 1480 at a saturnalian banquet featuring a whole roasted bear holding a staff in its jaws, stags reconstructed in their skins, herons and peacocks in their feathers, and orgiastic behavior by the guests appropriate to the ancient Roman model. Reports of the affair were all the more shocking at a time of general dismay caused by the Turks hav­ing actually landed on the heel of Italy, where they seized Otranto, al­though they were not to hold it long. The advance of the Turks since the fall of Constantinople was generally considered to have been allowed by God in punishment for the sins of the Church. "Licentiousness in the hierarchy was promoted but not initiated by the della Roveres; it was already a problem in 1460 when Pius II, in a letter to Cardinal Borgia, reproved him for a party he had given in Siena where 'none of the allurements of love was lacking,' and 'in order that lust be unrestrained,' the husbands, fathers and brothers of the ladies present were not invited. Pius warned of the 'disgrace' to the holy office. 'This is the reason the princes and powers despise us and the laity mock us ... Contempt is the lot of Christ's Vicar because he seems to tolerate these ac­tions.' The situation under Sixtus was not new; the difference was that while Pius was concerned to arrest the deterioration, his successors nei­ther tried nor cared."